The event has announced its’ agenda which includes a dynamic offering of engaging sessions discussing a range of thought-provoking topics, amongst which are attracting infrastructure funding; the role of state-owned enterprises; infrastructure partnerships; improving project bankability; digitisation in Africa; transforming Africa’s transport and logistics infrastructure as well as discussions presenting Zimbabwe as an invaluable developing economy in Southern Africa. Since the new President of Zimbabwe, Emerson Mnangagwa, was elected in 2018, the country has proven prominent on the radars of investors. In addition, the nation has won the support of major world powers as expressed by China’s Assistant Foreign Affairs Minister Chen Xiaodong assuring to “enhance development strategy alignment…to inject more impetus for economic development.” UK Foreign Secretary Boris Johnson shared similar sentiments, “This can now be a turning point, a moment of hope for this beautiful country, full of potential.” This collaboration will, for the first time in decades, set Zimbabwe on a path to renewed progression and economic growth. Discussions focused on Infrastructure Partnerships will explore how PPPs are assisting industry players in Zimbabwe to develop African infrastructure and attract private sector investment. Furthermore, the conference programme offers a platform for improving project bankability which remains essential to bridging Africa’s infrastructure gap. This can be achieved by comprehensive project preparation and due diligence thereof. The conference is set to explore how infrastructure development will drive economic growth in Africa followed by Africa’s action plan to achieve growth in this sector. Moreover, forums have been established to enlighten members about a prospective business opportunity that presents itself in Africa’s transport and logistics infrastructure. 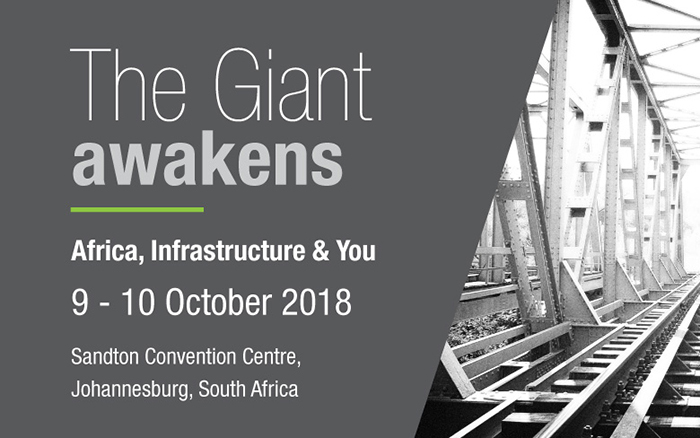 The Infrastructure Africa 2018 is expected to deliver a durable and positive impact on Africa’s infrastructure community by enabling attendees to identify significant participants, speakers, financiers, influencers and leaders, thereby giving them the means to not only survive but thrive in this highly competitive sector. The event has evolved annually, allowing participants to explore challenges and opportunities to promote innovation in infrastructure operations, which has made it Southern Africa’s leading infrastructure event. Attending this event affords anyone vested in Africa’s infrastructure sector with the knowledge of devising advanced solutions and business models to grow competitive and sustainable projects and businesses, ultimately contributing to the growth of the economy within which they operate.